The world of science, technology, engineering and math (STEM) is an unforgiving one for women. Underrepresented for years in these industries, many programs aim to create engaging opportunities for women to foster interest in STEM from a young age and beyond. While women make up 40% of the total U.S. workforce, they fill less than a quarter of STEM industry jobs, according to a survey by the U.S. Department of Commerce. Stepping up to highlight the diversity in her field, platform engineer Isis Wenger wrote on Medium earlier this month about her tough experiences of being a woman in the tech industry. The motivation for Wenger to write the Medium article came from reactions to a recent recruitment drive where she works, OneLogin. Wenger’s image had been used for the company’s recruitment posters posted online and in the local area. In such open media, she became the unwilling subject of comments within discussion threads online, both negative and positive. 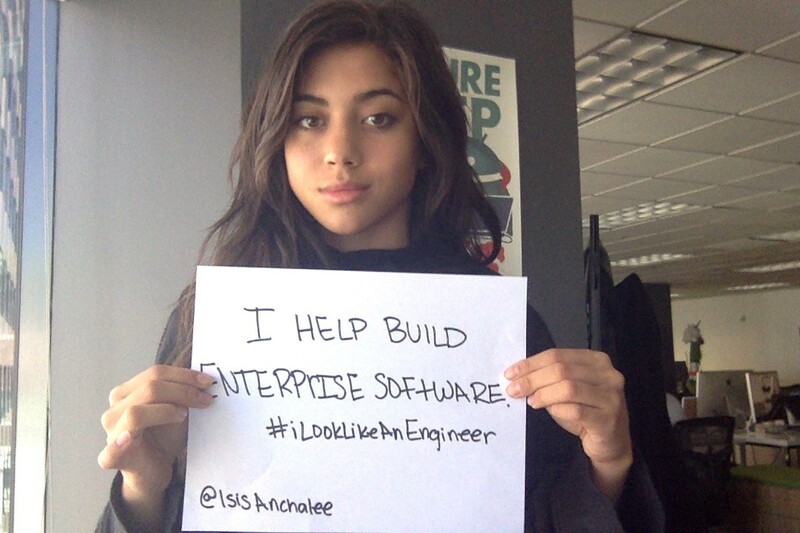 And the message spread far and wide with many engineers adding their voices and photos to the cause. Challenging those expectations, Wenger has started an excellent awareness campaign that is sure to resonate with many around the world.